Londoner Peter Barker‘s shock five-game dismissal of No2 seed Gregory Gaultier in tonight’s quarter-finals of the Allam British Open means that three Englishmen will contest the semi-finals at the O2 Arena in London for only the second time in the professional era of the sport’s most historic championship. Sixth seed Barker fought back from 2/1 down to topple former champion Gaultier, the world number two, 11-8, 2-11, 7-11, 11-9, 11-6 in a physical encounter lasting 89 minutes. The local hero went into the match as the underdog, having won only one of their ten career meetings since 2005. “I pulled out everything I had today,” said Barker afterwards. “Fortunately it was just about enough. “I’ll enjoy today then prepare as I did today – I’m not ready to go home yet,” insisted the 28-year-old left-hander. 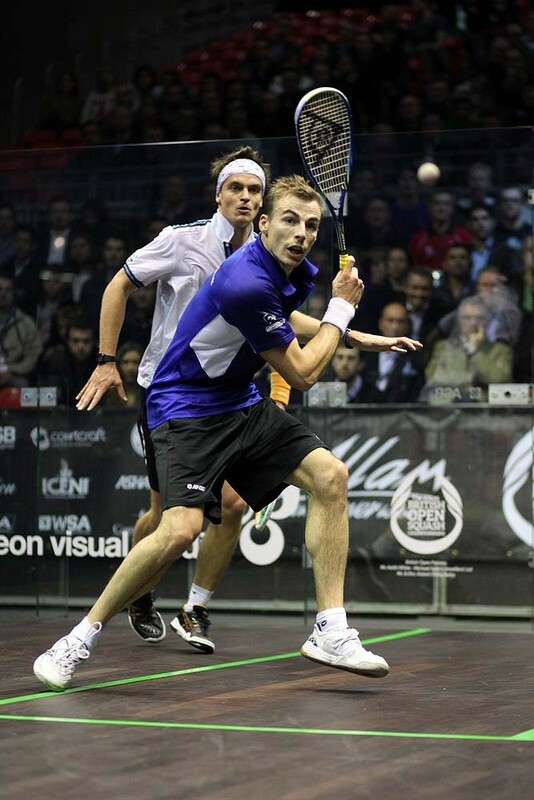 Earlier, Yorkshire rivals James Willstrop and Nick Matthew moved one step closer to a showdown clash as they powered to quarter-final victories. 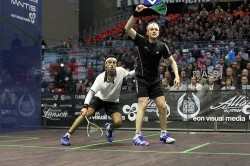 World number one Willstrop beat Egyptian Mohamed El Shorbagy, the No7 seed, and world champion Matthew overcame eighth-seeded Dutchman Laurens Jan Anjema after losing the opening game. 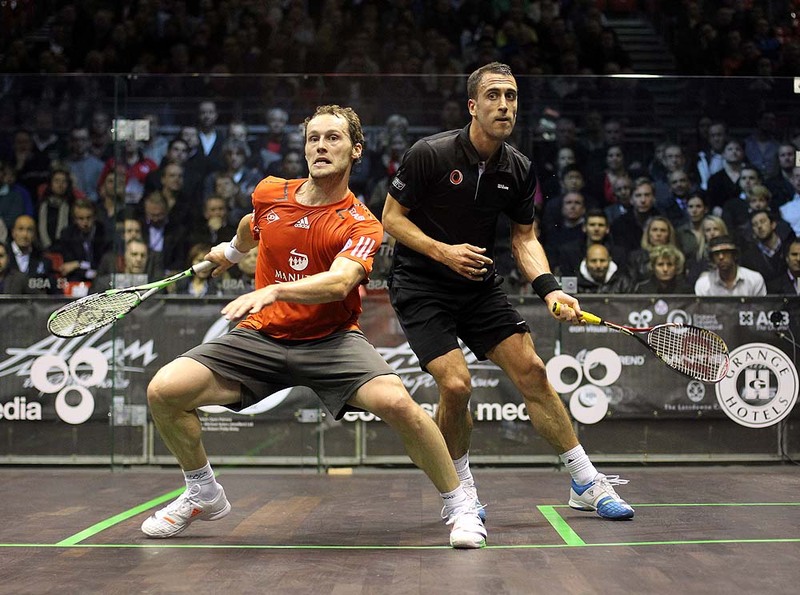 The 6ft 4in top seed Willstrop won 11-4, 11-7, 11-9 in 45 minutes of compelling, intelligent squash as he contained and ultimately subdued his hard-hitting opponent, weathering a fierce storm towards the end of the third game. Matthew began sluggishly against another powerful adversary but from 5-5 in the second game took control to dominate the rest of the match. Anjema hit some outrageous kills in the opening game and Matthew made some unaccustomed mistakes, especially, on the volley. 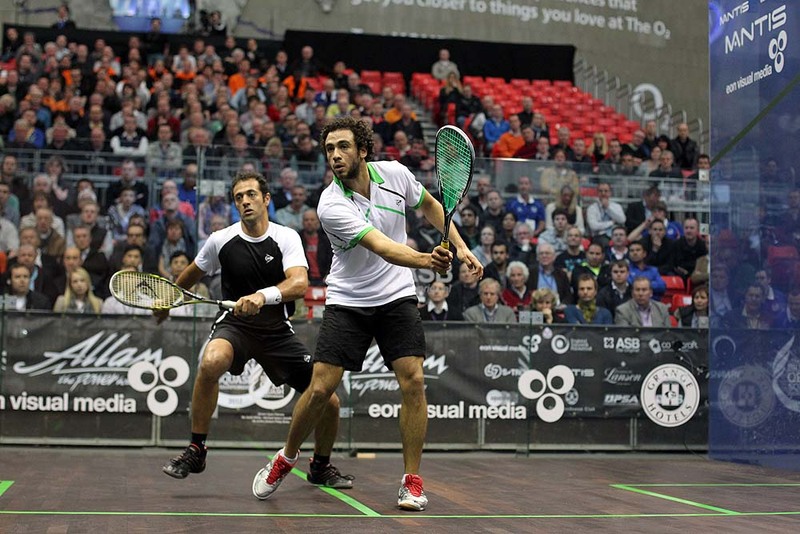 But as the match wore on the 31-year-old from Sheffield, who is bidding for a historic third British Open title, produced tight, error-free squash to book a semi-final clash with Londoner Barker, who was roared home by a vociferous local crowd savouring the prospect of seeing three English players in the semi-finals. The same trio also reached the last four in 2009, the last time the Open was held. 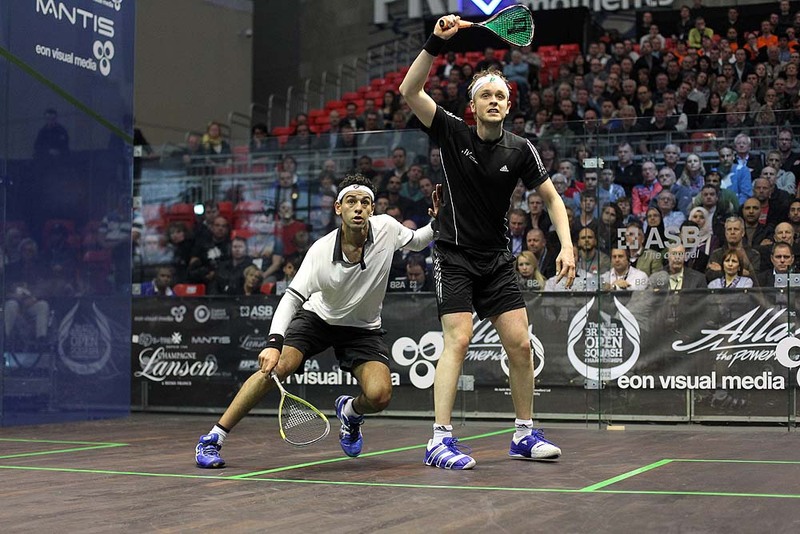 Willstrop meets the mercurial Ramy Ashour, who beat fellow Egyptian Amr Shabana in a match that provided a dramatic mixture of blinding skill and another mental meltdown from Ashour. 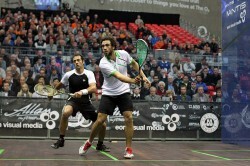 Regarding his lapses in concentration, Ashour added: “I think it has always been like that between us. You can only play well against Shabana in patches and for a 20-minute spell he got in a place that was unbelievable. When he is in that zone he can beat anyone in the world in 20 minutes. It was surreal. 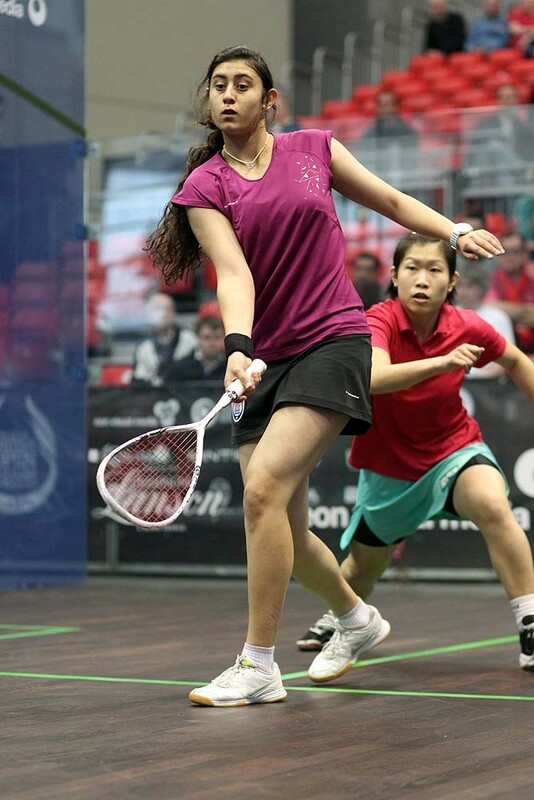 Sixteen year old Egyptian Nour El Sherbini continued her winning run with a five game upset victory over Annie Au to reach the semi-finals. It was a game of short rallies, lots of winners and swings of fortune but it was the reigning British Junior Open champion who prevailed, to the delight of her entourage. 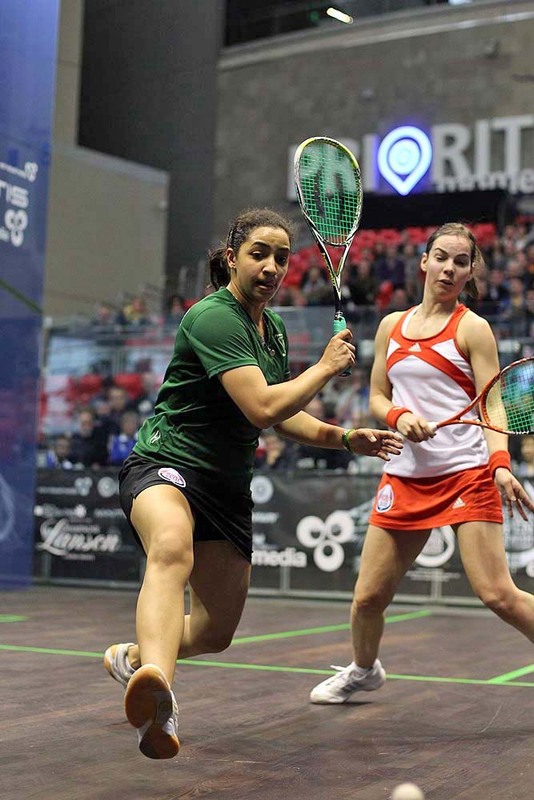 Once Raneem El Weleily had taken four point in a row to win a tight first game 12/10, she romped ahead in the next two games with second seed Jenny Duncalf unable to cope with the barrage of winners coming her way, although the Englishwoman helped her opponent along the way with some crucial unforced errors when seemingly in control of rallies. 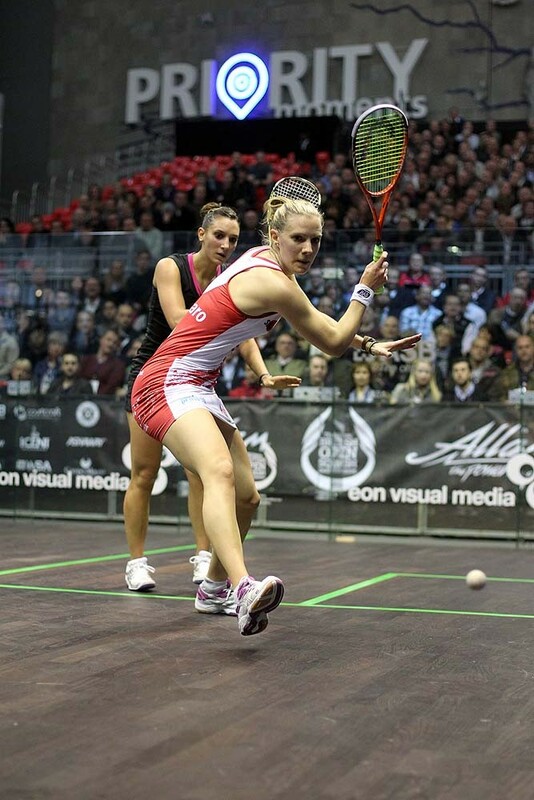 Having had three game balls to take the first only to lose it 11/13, Laura Massaro came back out firing to take the second game of her match with Camille Serme 11/3, and then got the better of two tight games winning them both 11/9 to move into the semi-finals. Just as LJ Anjema had in the previous match, Joelle King came out of the blocks with a vengeance to take the first game off the world champion. But, just as Nick Matthew had, Nicol David too weathered the storm, and without any panic or undue fuss, slowly but surely drew the sting from her opponent, and in David’s case so clinical was the process that come the fourth game it looked as though King could play all night without getting another point, ad David ran out the 8/11, 11/3, 11/4, 11/0 winner. “I was expecting her to come out with a good start,” said David, “she was bound to be fired up after her win over Rachael yesterday. “I was struggling to get my shots together at the start, but as the match went on I found my rhythm and the shots came with that. She was probably feeling the effects of that five-setter too, so I was able to take advantage of that.